• 1650 sqft , 2 bath , 3 bdrm single story – FOR SALE INR12,000,000 . Rs.120 Lakhs Negotiable @SiteCost! Resale Independent Home in Munnekolala, Marathahalli opposite Spice Garden & Purva Riviera Apartments, off Old Airport Road. 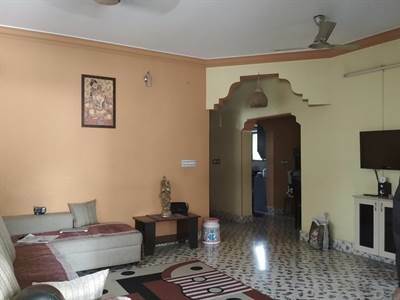 30×55 (1650 Sq.ft) West Facing Plot with 3BHK Home on Ground Level with Car Portico for Sale, Home is 2005 Built using Red Bricks and strong Foundation and own Borewell, the Buyer can either add further 2 floors or plan afresh by demolishing and Building a New Home, the Locality is Calm and peaceful, with Paved Roads, Kaveri Water Supply and BWSSB Sewage lines. The Property is also suitable for Building a Rental Income Property with a potential of Getting monthly rent of Rs.2 Lakhs easily. The House has its own Bore-well, BBMP “B” Khata home loans arranged, 3 bedrooms, 2 bathrooms, living dining and pooja room, have a look at the Video Tour of the Complete Home. Priced at Rs.120 Lakhs Negotiable.